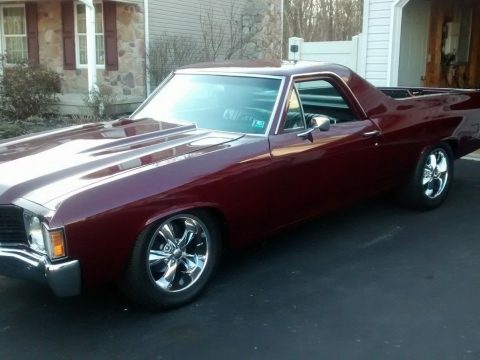 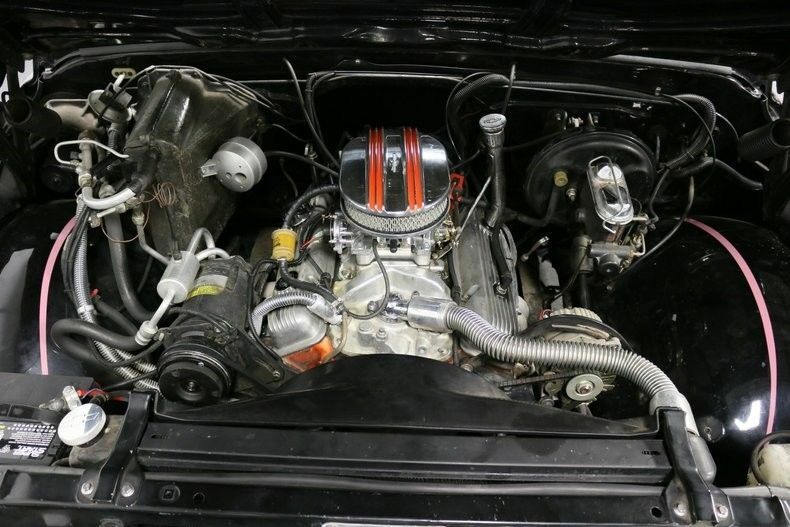 Abundant power comes from the 350 cubic inch V8 sitting just underneath the hood. 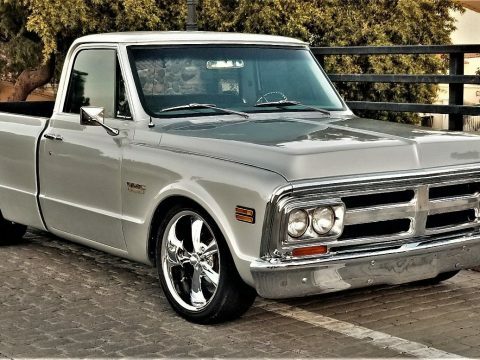 The engine wears an Edelbrock intake manifold and 4-barrel carb under a very sharp chrome air cleaner and is running strong and sounding great through its Dynomax mufflers as it teams with a 3-speed automatic transmission that’s also in good form. 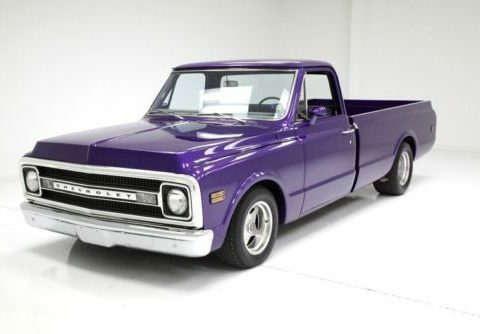 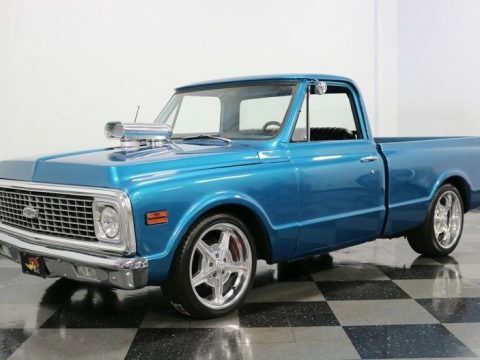 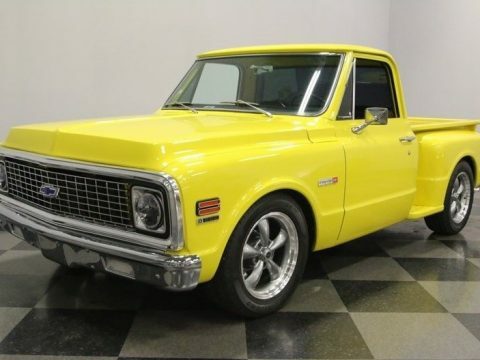 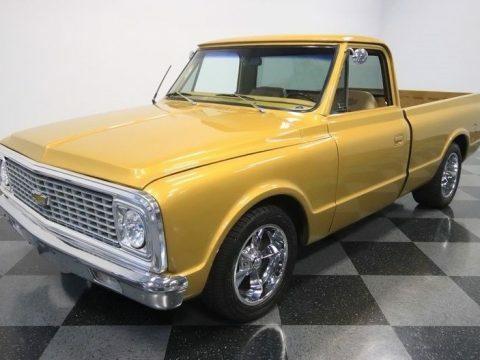 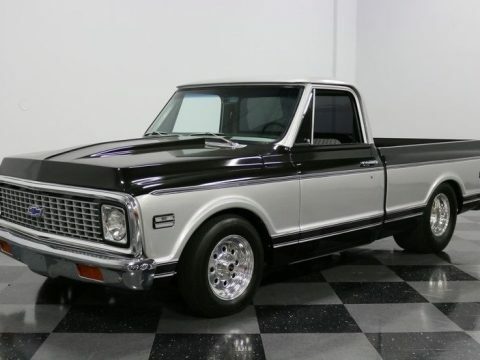 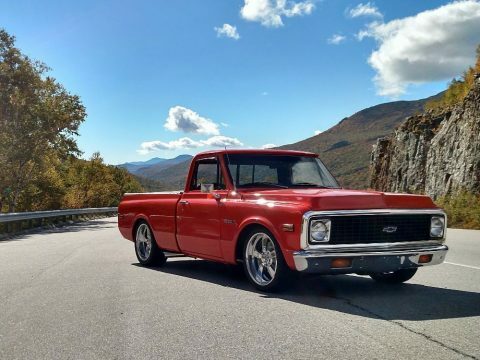 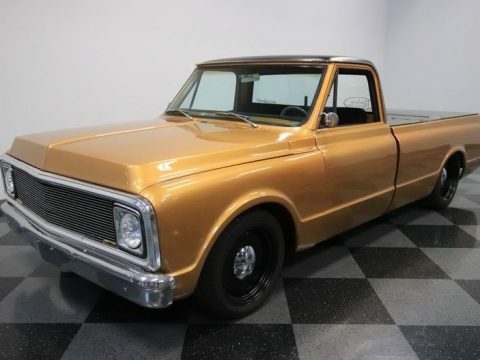 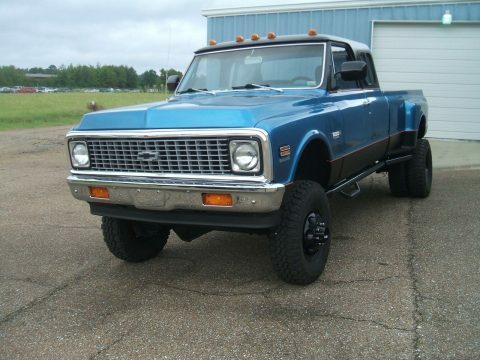 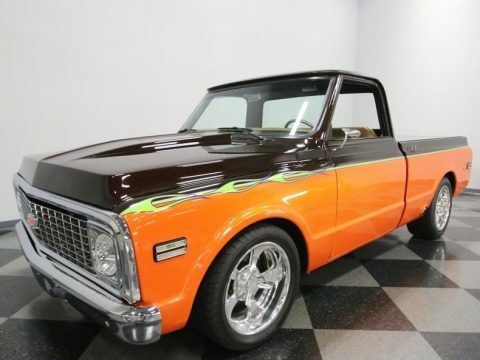 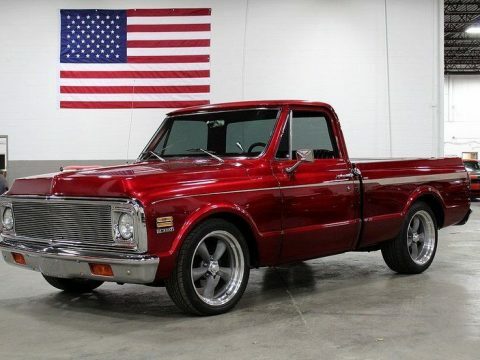 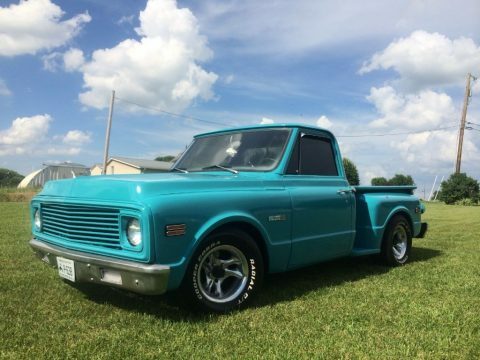 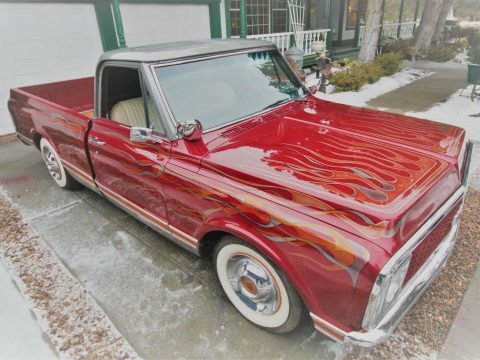 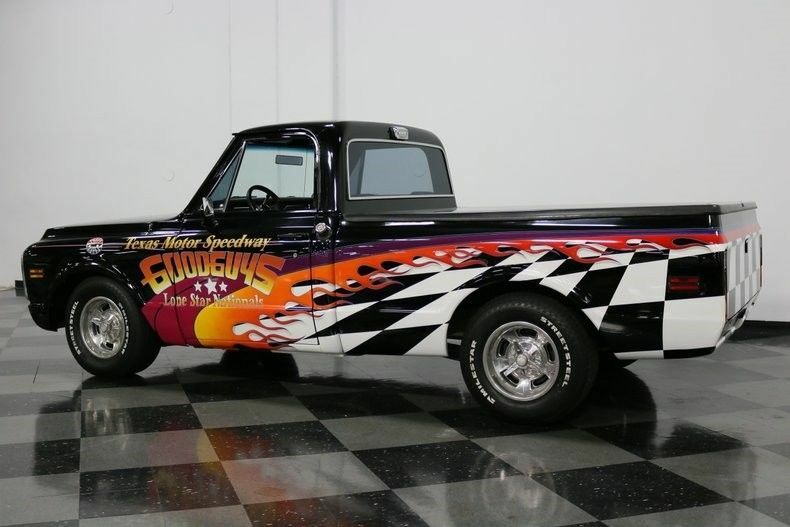 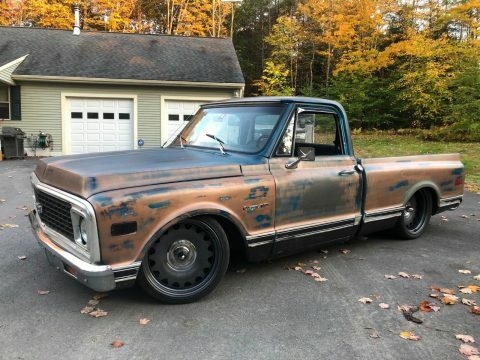 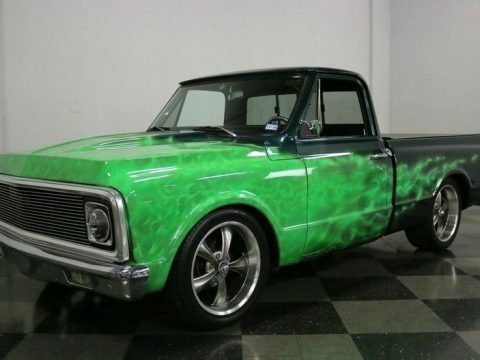 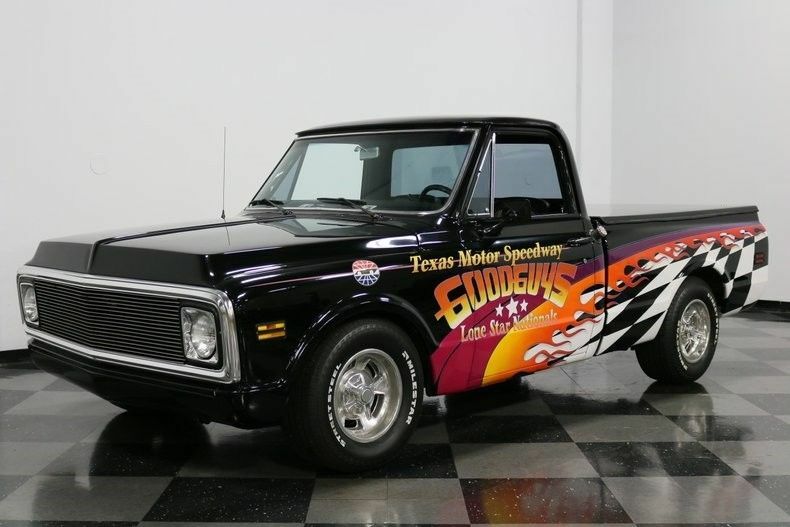 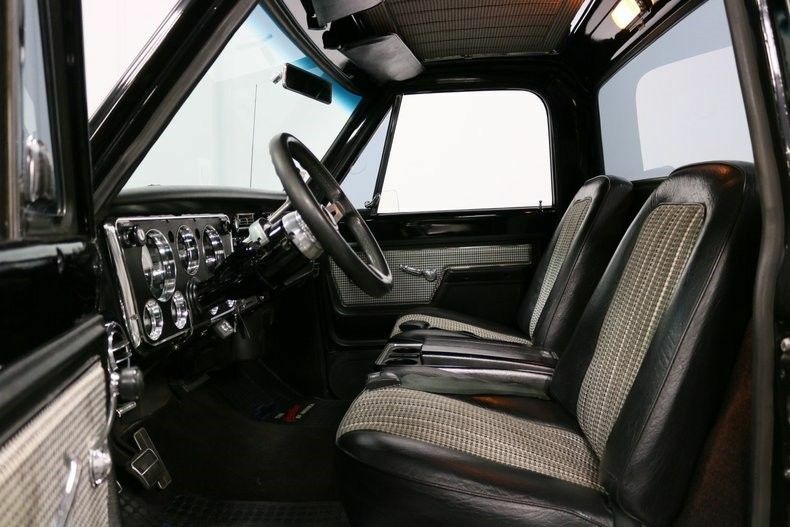 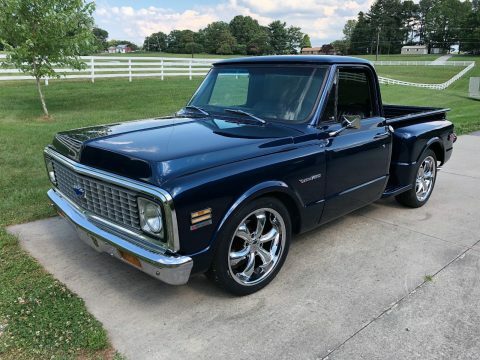 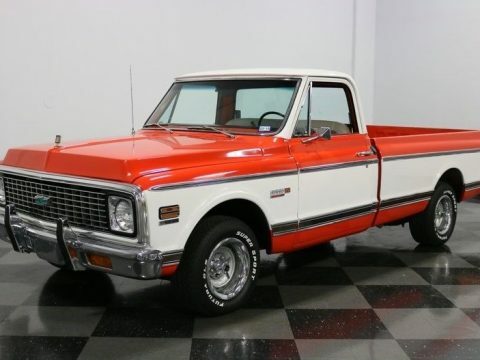 In all respects, this truck is in rock solid, road ready shape, with power brakes that feature discs up front for fade resistant stops and power steering to make this eye catching classic easy to navigate as it pulls focus on its set of 15″ Halibrand wheels outfitted with 275/60R15 radial tires tires that have plenty of miles left in them.